The Aramingo Ave. Shopping District presents a remarkable opportunity to spearhead green stormwater infrastructure development in Philadelphia. Much of the commercial district is composed of big box retailers with suburban style layouts and large underutilized parking lots. A stormwater management strategy along the corridor will save business owners money on their projected increased stormwater utility bills (which will total nearly $750,000 every year starting in 2014) and also draw new customers by making the district more attractive. 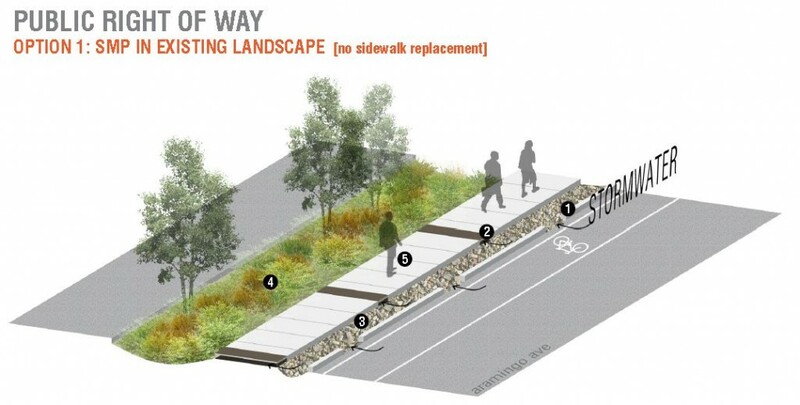 Greening the corridor will also improve the pedestrian experience, making it safer to walk in a neighborhood where a low percentage of residents own cars. Improving the stormwater management through greening on Aramingo Ave is a win for the Philadelphia Water Department (PWD), the business owners, and for the local environment.